An injury-time save by Glenn Morris helped Leyton Orient secure a 1-1 draw against Northampton. A flying injury-time save by Glenn Morris helped Leyton Orient secure a 1-1 draw against Northampton which stretched their unbeaten run to seven matches. 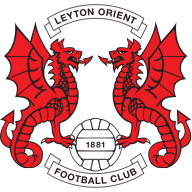 Orient failed to concede a league goal in the whole of November but they fell behind after only 72 seconds when a 25-yard shot from Liam Davis went inside Morris' right-hand post. The home side bossed the first-half and could have added to their lead, most notably when Giles Coke fired a left-foot drive just over the bar. But Orient drew level with their first effort on goal three minutes before the break when JJ Melligan headed past Frank Fielding after the goalkeeper had saved his first effort. Orient had the better chances in the second-half with both Tamika Mkandawire and Adam Chambers firing wide of the target, the latter while grounded as he gathered a cross from Stephen Purches. 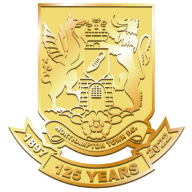 Northampton could have won the contest at the death when Morris denied Kyle Walker's super snap-shot.